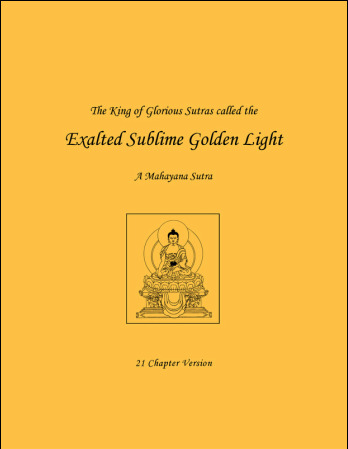 Join us to recite the glorious Golden Light Sutra, a powerful sutra promoting world peace for one's country and the world. This text is very precious; it brings peace and happiness and is very powerful to stop violence. By hearing this text, one’s karma gets purified. This text increases success and, especially for leaders like kings or presidents, brings success in guiding in virtue, the path to happiness. In whichever country this is taught, the whole country benefits … everyone is happy and the country becomes harmonious; there are no quarrels. The king gives religious freedom and is always protected by the devas. Whoever even tries to read or understand this text will experience the comfort and happiness of devas and humans for 100 billion eons; fame and perfect crops; and will become a buddha. Those sentient beings who hear only one verse will never go to the lower realms.